V-Ray Scene Intelligence analyzes your scene to optimize rendering. Which means you automatically get the best quality in less time. V-Ray Next introduces two new features powered by scene intelligence — Adaptive Dome Light and Automatic Camera Exposure. The V-Ray Physical Camera returns with a streamlined UI and scene intelligence for Auto Exposure & Auto White Balance. Perfect renders are now as easy as taking a snapshot. The Interactive NVIDIA AI Denoiser instantly removes noise while rendering with IPR. Based on AI-accelerated technology from NVIDIA, interactive denoising works exceptionally well for previews — even with only a few samples. denoised beauty pass. And it works with the standalone denoiser for animation. 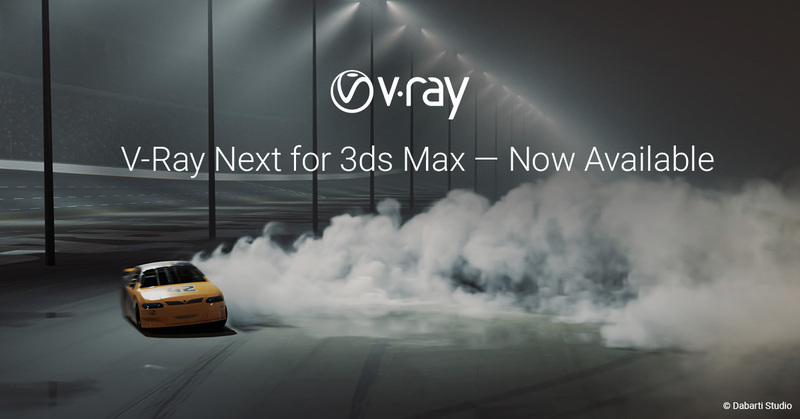 Click here to see new pricing and buy V-Ray Next for 3ds Max. VRscans is the perfect addition to V-Ray Next for 3ds Max. With over 650 hyper-realistic materials captured with unique scanning technology, projects will come to life like never before. Until August 15 2018, customers who upgrade from V-Ray 3.x to V-Ray Next can purchase a VRscans Workstation license with a 50% discount. Users can buy one discounted VRscans license per V-Ray Next upgrade. Click here to see new pricing and buy VRscans.